Solutions to get you through your day. Updated frequently and with awesome content. Customized just for you. PERFORMANCE FUELED BY PURPOSE AND PASSION. 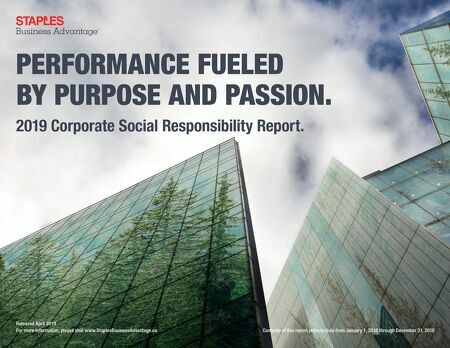 Contents of this report reflects data from January 1, 2018 through December 31, 2018 Released April 2019 For more information, please visit www.StaplesBusinessAdvantage.ca 2019 Corporate Social Responsibility Report.